In addition to the core academic subjects, our students enjoy a variety of special subjects that enrich, inspire creativity, and develop talent. We believe that the creation of artworks and inquiry into the meaning of the arts are the primary means through which we understand human experiences and transmit cultural values. The visual arts are an essential part of every child's education at Edgewood Campus School. We have designed our program to teach artistic concepts and develop skills using a comprehensive approach that takes advantage of art's special power to educate. Our program is a disciplined-based art education program similar to that promoted by the Getty Institute for the Arts. Through the mediums of drawing, painting, sculpture, printmaking, ceramics, fibers, and paper, we focus on art production, art criticism, art history, and aesthetics. We introduce western and non-western, ancient, and contemporary art into projects that allow room for personal creativity. Our school displays art work in a safe online gallery. You can view the online gallery and see art from previous years by typing Edgewood Campus School, Madison, WI into the search box. At Edgewood Campus School, we believe that technology is a tool for learning, not an end in itself. All students from kindergarten through grade eight take information technology and computer science classes. Students in grades kindergarten through two learn to use iPads to reinforce content area knowledge, create original work, and learn tablet proficiency skills. In grade three, students learn keyboarding and to use Google apps for education. In grades four through eight, students use Google apps for education and other various technologies to learn digital citizenship, pre-coding and coding skills, digital research, and to create multimedia. All students in grades six through eight receive a school-owned Chromebook for 24/7 use. Grades three through five use classroom Chromebooks and grades kindergarten through two use iPads in the classroom. 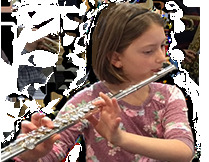 All students at Edgewood Campus School participate in our music program. Our students engage in a wide variety of musical activities, including singing, playing instruments, composing, improvising, and creative movement, all while developing strong and sequenced musicianship skills. We introduce students to a variety of topics including music theory, music history, music appreciation, composition, aesthetic awareness, careers in music, and the role of music in everyday life. All students perform in our winter concert. Our 4k-6th grade students perform in a spring concert, while our 7th and 8th grade students produce and perform a musical. All students spend time in music class preparing for liturgical celebrations and special events to ensure music has a special place in the heart of our community. Our guidance curriculum is based on the Second Step Social-Emotional Learning (SEL) program to students in grades 4K–8. The Second Step Program is a universal classroom-based program designed to increase students' success and decrease behavior problems by promoting social emotional competence and self-discipline. It teaches skills that strengthen students' ability to learn, have empathy, manage emotions, develop positive relationships, make responsible decisions, and solve problems. Equipping students with Second Step skills creates a safer, more respectful learning environment that promotes school success for all. Our library curriculum supports the language arts goals of learning how to acquire, evaluate, and share information. We work to assist in the development of communication skills while providing connectedness through all areas of study. Students may utilize the library during open times with teacher permission or during the scheduled class time. Instruction includes the organization and care of library materials, evaluating selected information, exploration of the variety of literature, and an appreciation for the authors and illustrators. Teachers grade students on their levels of participation, behavior (listening, sharing, and respect for library materials), and application of library skills. These skills include identifying the type of needed resource or genre, locating materials, using book parts to gather information, and the evaluation and sharing of the selected information. Our physical education program emphasizes participation, fun, and cooperation. During the early grades we focus on motor development and enhancing endurance, strength, and flexibility. The primary components of the curriculum include cooperative games, motor skill exercises, ball handling skills, and movement. Our main objectives at the intermediate level include motor and specific skill development. We lead up to more complex games where strategy and rules are taught. We also stress sportsmanship, teamwork, and cooperation. For our middle school students we target participation as games and activities become more high level and competitive. Our goal is to foster the enjoyment of activity and sports. To “do your best” is our aim, as students channel the competitive drive into self -improvement and achieving their personal best. The goal of the Spanish curriculum is to introduce the students to a second language through conversation, reading, writing, games, and songs. Students are taught to speak, listen, and understand language used in everyday conversation. The Spanish curriculum is designed to increase awareness of the Hispanic culture through positive experiences with the culture and people. As the students advance in their Spanish through their years at Edgewood, the curriculum gets more advanced. Students start with the basics, and then work up to full conversations through more intense grammar and verb work, while still having fun.